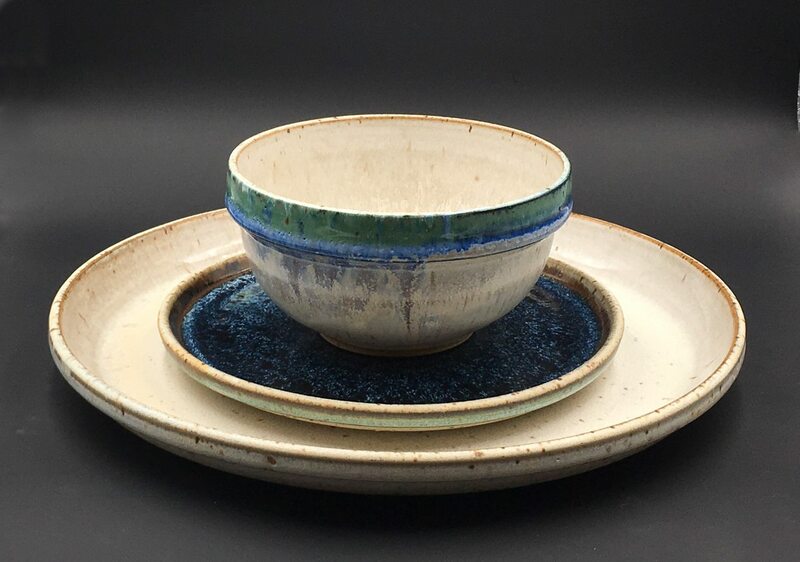 You may have noticed Loam Clay Studio’s gorgeous dinnerware when you’ve enjoyed a meal at Carben Food + Drink or The Pomeroy House. Or perhaps you’ve admired the pretty turquoises and blues of the sets designed for Suzy Q or the one-of-kind mugs at Pranashanti Yoga Centre? Covet no more! 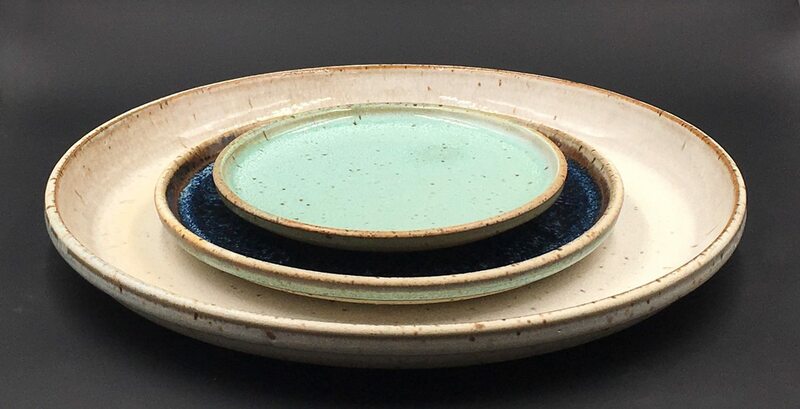 After receiving numerous inquiries from diners who have seen — and want — her plates, Loam Clay Studio’s Sarah Fulford has just released a 7-piece dinner set. The full set includes: three sizes of plates (dinner, salad, and bread), three sizes of bowls (soup, dessert, and ice cream), and one mug. A dinner plate, salad plate, and soup bowl form a harmonic whole. FYI — the salad plate doubles as a cover for the soup bowl, while the bread plate fits perfectly as a cover for the dessert bowl and saucer for the mug. Early adopters have also reported using the tiny gelato bowl as a “mini mug” for green tea. While the full set costs $220, Fulford notes that people can order smaller versions at lower price points. City Bites Hot Tip: Find some open shelving for displaying these pretty plates! The whole set is designed to be stackable, which is why Fulford made the bowls with coloured rims. The nested plates form a neat — and colourful — sculptural art piece. And, yes, you can work with Fulford to match the colour profiles to your tastes. Three sizes of plates in three complementary colour combinations.